One great concern for riding instructors and trainers is the potential for an accident to happen to a student or a bystander. You worry that you may be sued or have a claim for bodily injury or property damage. If sued, you may need to hire a lawyer to defend yourself. If found negligent and responsible for an accident, you may be responsible for the cost of the claim. Independent Contractor Horse Riding Instructors and Trainers have a strong need to be insured for their activities and exposures to liability. This is because your business services are fairly high risk and provided in a unique way. The level of liability risk is fairly high because students and horse owners can become injured while learning, and the exposure is greater if the instructor is providing a lesson horse or teaching someone to ride a horse at an early stage of training. The uniqueness comes from several factors. Independent Contractors [I.C.] perform some or all of their instruction and training services at one or more locations they do not own. Independents operate under one contract with the stables and under another with their students and horse owners. Another concern is that I.C. Instructors often borrow or “rent” a school horse for hourly use in exchange for a fee or lessons. Not only should you be concerned for your financial protection, but the stable owner will also want to be protected against your activities at their premises. Therefore, the stable owner(s) will usually require you to carry a liability policy that lists the stable as additional insured. Fortunately much concern can be relieved when you buy a COMMERCIAL GENERAL LIABILITY POLICY [GL] to insure your unique teaching or training activities. If you instruct or train at only one location, the stable owner may be able to insure you (by name) at a nominal premium in the stable’s liability policy, if allowed by the stable’s Insurer. The limitation is that you are only insured while working at that location. If insuring yourself in this way, be sure to secure proof from the stable that you are insured and that your name is listed in the policy. The downsides to this method are: You are only insured while working at that one specific stable. 2. You will not be insured for teaching or training you may do at your home location or at any other location. 3. The policy will not insure your personal horse activities. So if you work at more than one stable and own horses, it is best to carry your own liability policy to insure you at all locations and include your personal horse activities. When carrying your own policy, the stable owners will usually ask to be named in your policy as Additional Insured, and they will want proof of coverage. By adding them as an Additional Insured, they will also be insured for liability but only in relation to your activities at the stable location or performed on the stable’s behalf. Your policy should not be expected to insure the stable for its activities and negligence. Because of the complex nature of I.C. arrangements, we recommend that I.C.s only operate from stables that are insured for liability. If you are an instructor, coach or trainer who operates primarily at your own premises, go to Horse Instruction, Coaching and Training Services Liability Insurance page on this website for more information. Horse trainers also have a Care, Custody & Control Liability exposure. This is because a horse in training may become injured or sick while in the trainer’s care. The trainer could be held liable for related expenses, and be required to pay for the horse if it dies. Instructors who teach on non-owned school horses they borrow may have this exposure too. We are able to offer this coverage by endorsement on your GL policy, and will quote it to you if you complete the Care, Custody & Control section of the application. This coverage is optional and there is a separate nominal premium charge for it. Note that non-owned horses cannot be covered this way if they are leased by you. 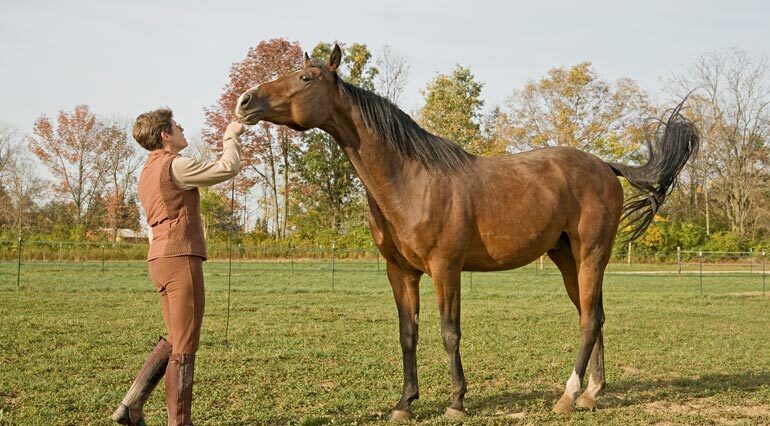 When you lease a horse you become its temporary owner and this situation requires the horse to be insured for loss and injury by a Horse Mortality and Major Medical Insurance Policy. 1. A student rider or handler becoming injured during or in relation to instruction. The greatest potential hazard lies in the fact that the student needs to progress in their learning, but to do so they must take moderate chances and perform in ways they’ve not done before. Trainers can have the same thing occur when trying to teach someone how to handle or ride a horse they are training. Students sometimes simply lose their balance and fall or will just bail off the horse. They often fail to apply proper cues to control or guide the horse – some may be too harsh and hurt the horse and the horse reacts. While on the ground, a student can be bitten, kicked, bumped, dragged, fallen on, or stepped on. Incidents often occur during a gait transition or when jumping or maneuvering over obstacles. It can take a while for a student to learn balance, a secure seat and good horse handling instincts. To protect themselves, horses will often run forward, stop suddenly, jump sideways, rear up, buck or crow hop. Common injuries are soft tissue, broken arm, injured tail bone or back, bruised or broken ribs, shoulder, and sometimes head injury. 2. Horses in training become injured or may even die while in the trainer’s care, custody or control. Horses can become injured during the training process when challenged to learn something new or are handled or integrated into a strange environment. Borrowed school horses can be injured while the instructor is preparing for or teaching a lesson. A student’s horse can become injured when the instructor rides it for behavior and gait assessment or correction purposes. 3. A horse gets away from the trainer or instructor at a show, runs into the road and is hit by a car. The horse must usually be destroyed, while property damage to the car and bodily injuries to passengers can result in a sizeable claim.